Water – Blue and clear, but like air temps, the season is changing. Waters will start to cool. I hope not too soon. Fish are sensitive. 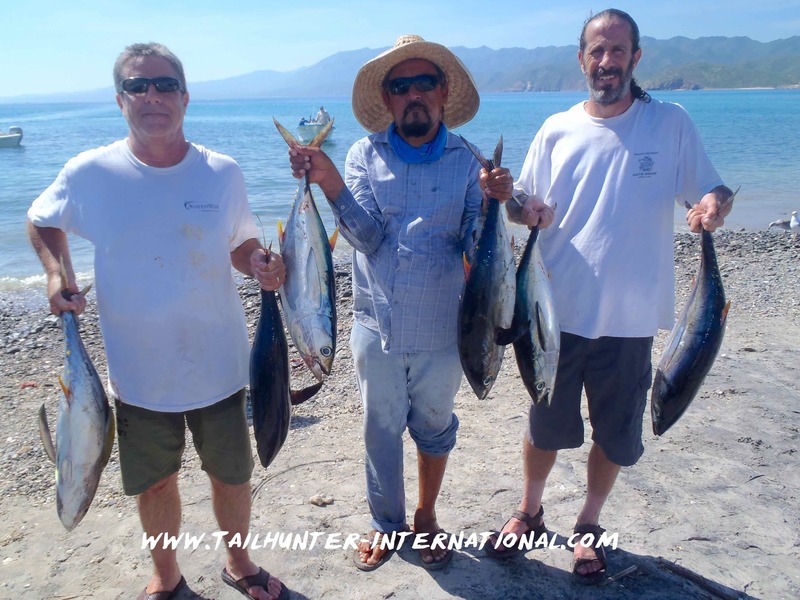 Fishing – Hard to imagine it being much better with nice variety including tuna, dorado, billfish, wahoo, pargo, cabrilla, roosterfish. In terms of numbers, it’s great. If the fish got bigger, it would be even better! No one complaining. Catching – Easy limits most days. Three in the hand and more in the boat…great tuna start for Tom Ramsey and Matt Fields who started their fishing week with Captain Arcangel and a boatload of yellowfin tuna! The tuna seem to be getting just a tad larger with every week. 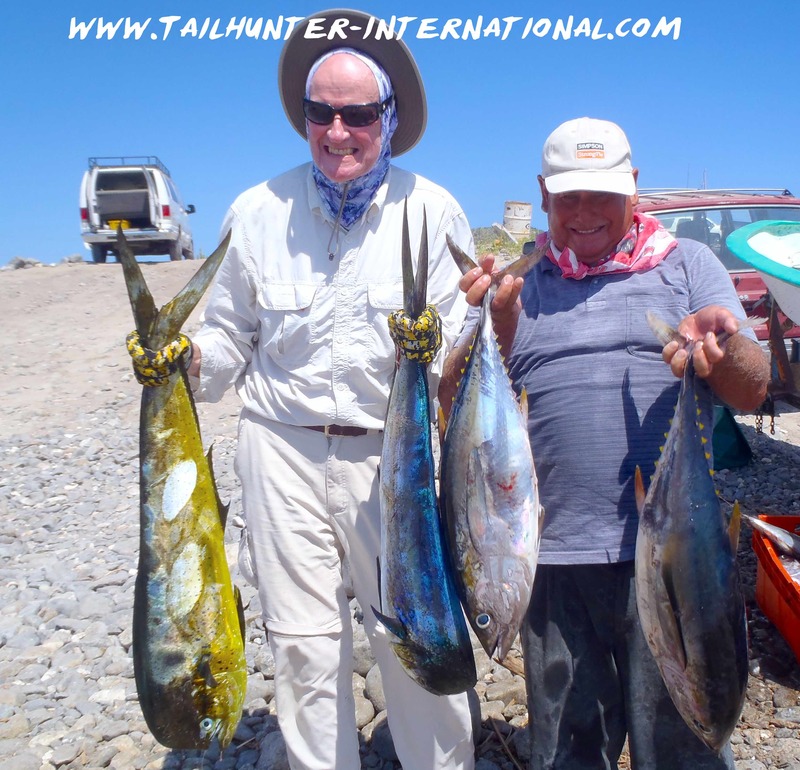 A great photo of Chris Van Leeuwen from Utah with some larger grade yellowfin tuna on the beach at Muertos Bay. 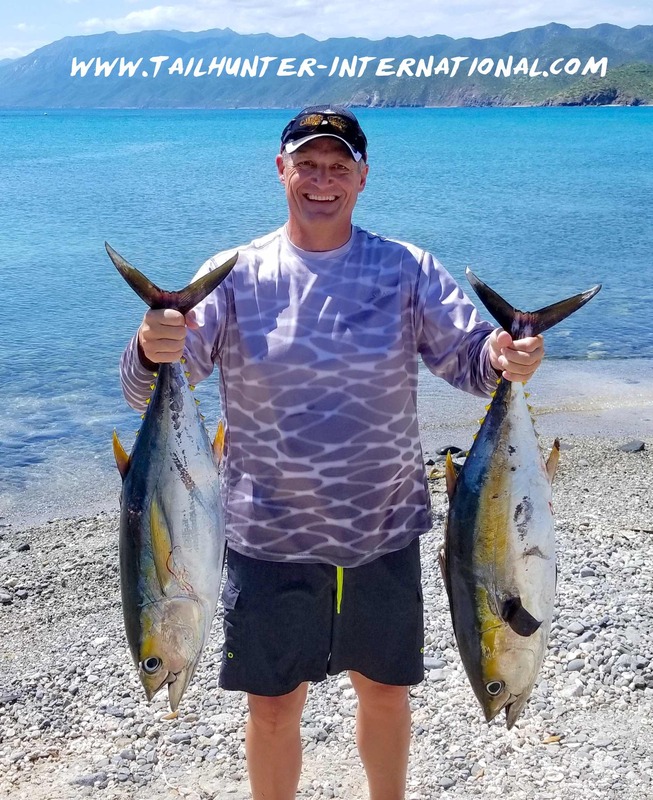 Harley Nelson is the owener/ operator Stockman’s fishing lodge in Saskatchewan, Canada and made his first trip this week to visit La Paz and fish with Tailhunter Sportfishing. 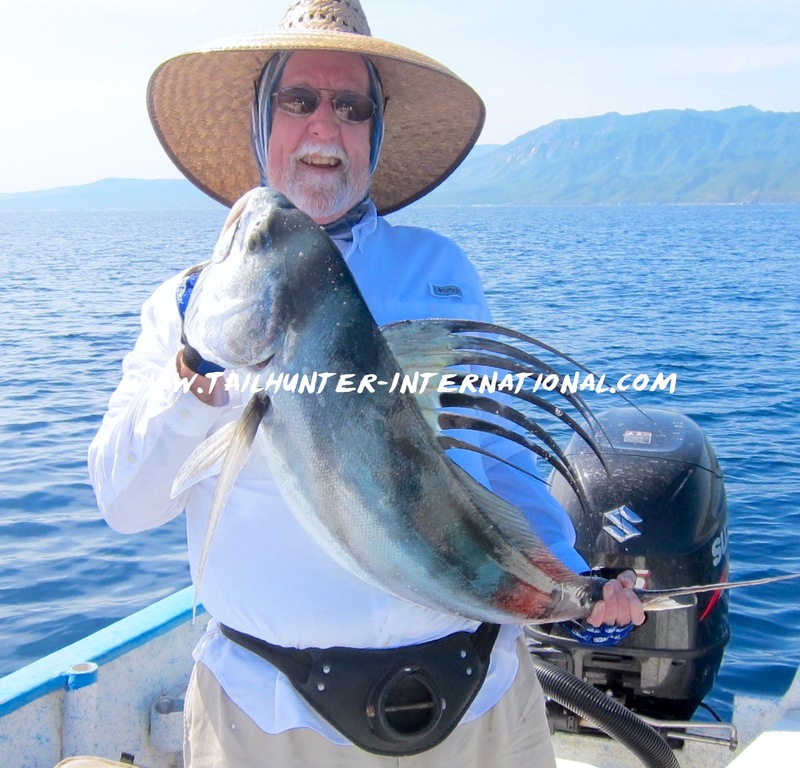 He caught lots of tuna and dorado, but on his last day with Captain Jorge, hooked up with this big-time rooster fish not far from the Punta Arenas lighthouse on live bait. The big fish was released and swam away strong. 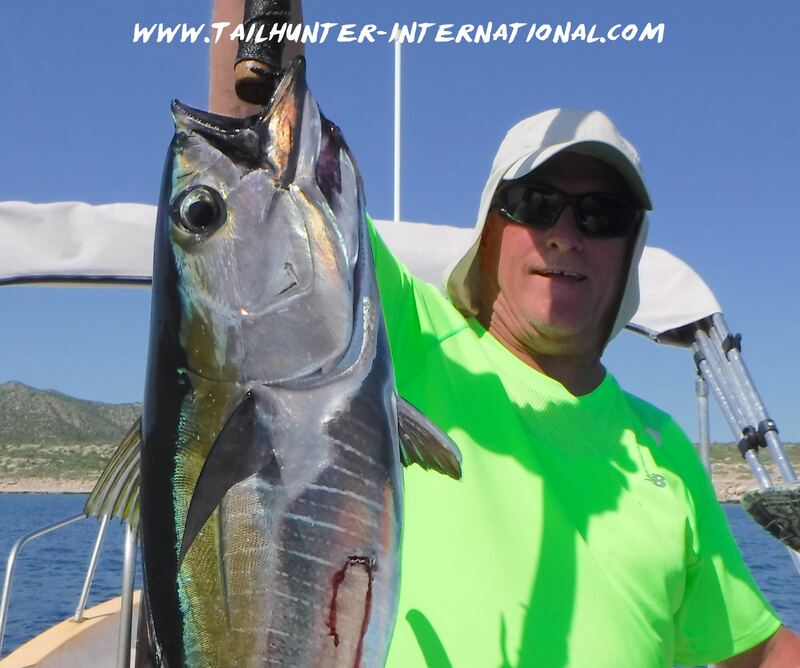 John Kennedy had himself a great week of tuna and dorado fishing, but also topped it with one of our wahoo this week with Captain Victor. Lots of reasons to smile! 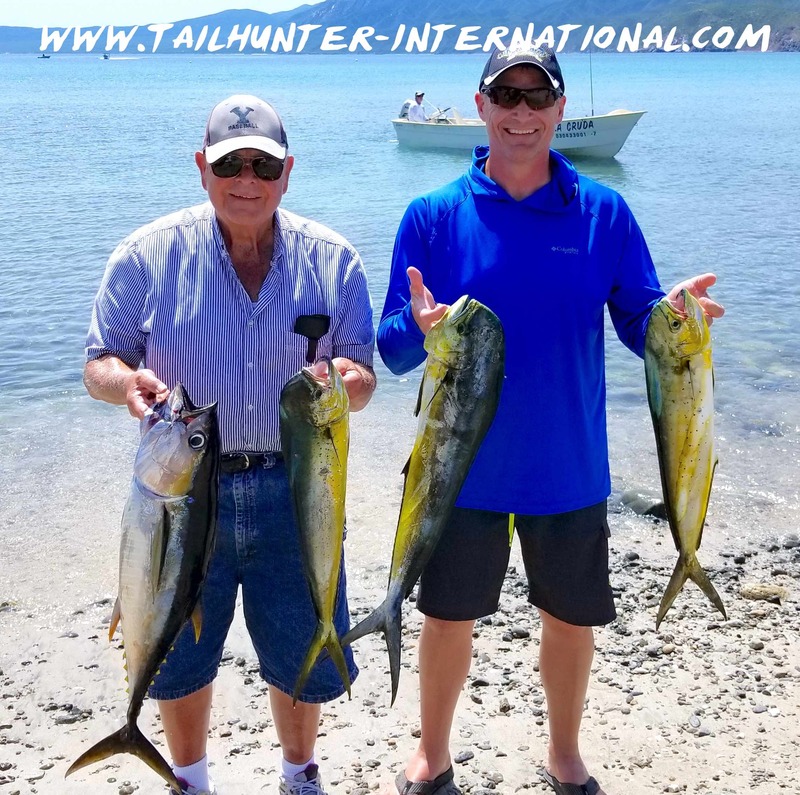 Eric Ostrom from Florida and Bob McPhee from California had just two quick days to getaway and fish and got in on the dorado and tuna bite. Leave it to the first timer to get the trophy! 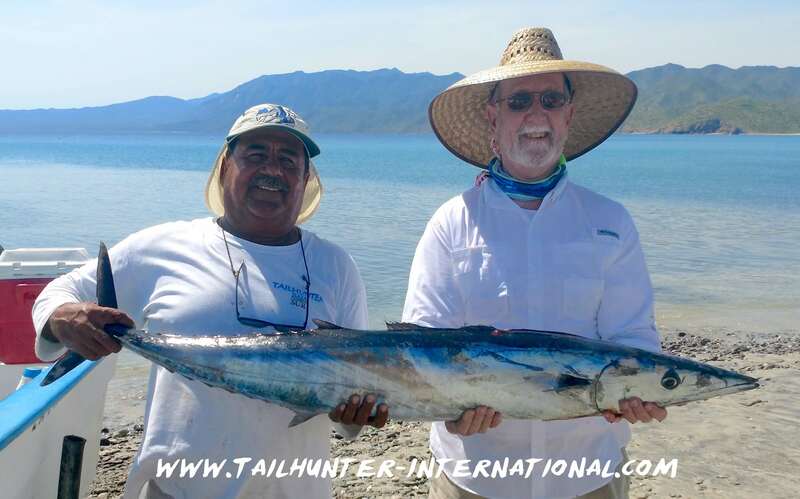 From Montana, Jeff Carr was with friend, Dwight Smith and Captain Archangel on his very first day and time fishing in La Paz and Mexico and hit the jackpot with a nice wahoo! Marty and Pam Martin had a full week of this kind of fishing and went back to Montana with a vanload of fish, even after donating fish and releasing fish! Our amigos are from Great Falls, Montana. Three generations of smiles from Bob, grandson Jacob and son Jason Rudloff from Northern California who hammered some easy limits out’ve Muertos Bay of yellowfin tuna. 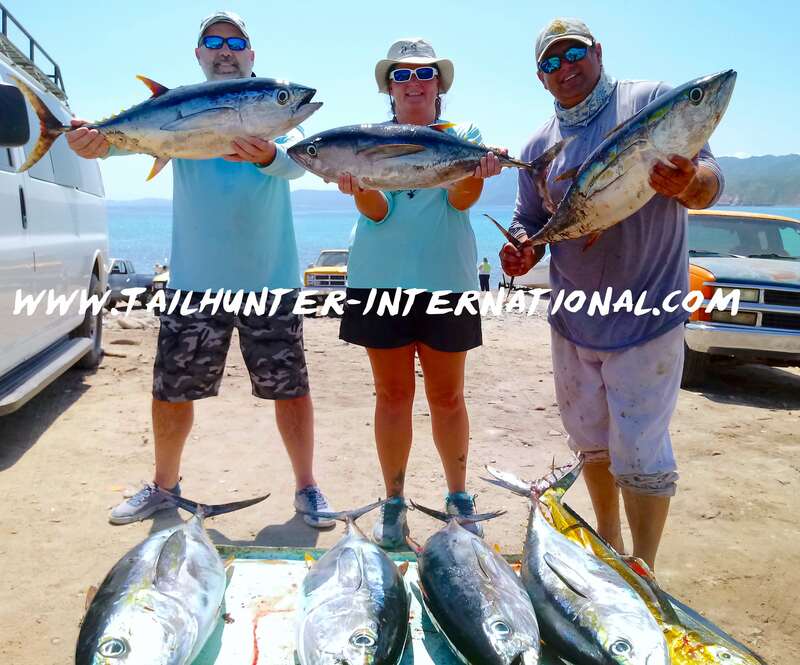 Heather and Alan McCrory, our first-time visitors to La Paz to fish with us, we out with Captain Armando and appear to have sat on a nice school of yellowfin tuna with some good size to kick off the week. 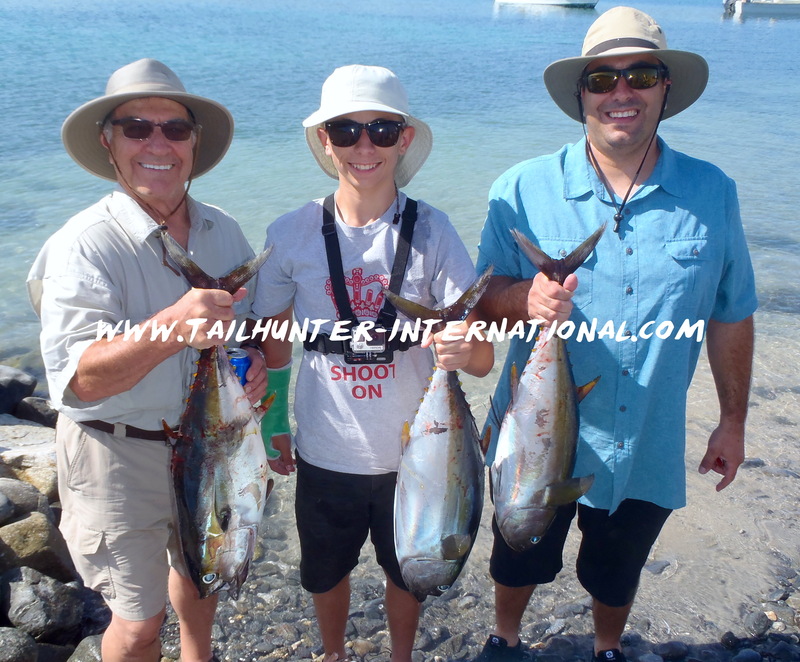 A last-minute trip by Tom Van Leeuwen and son, Chris from Utah turned out pretty well with nice days of tuna and dorado. 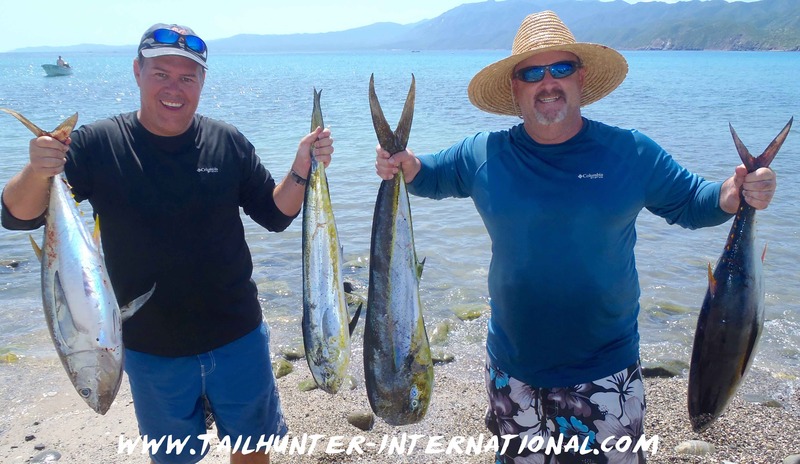 Our buddy, John Kennedy again in the fishing report twice! This time holding a roosterfish that came up in the middle of the tuna schools and got itself hooked on a sardine! John released the gallo! 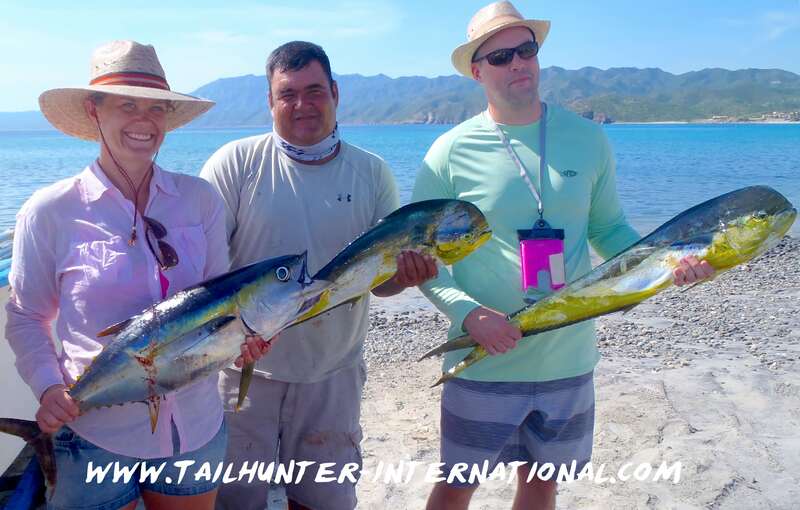 Stephanie and Trent squeezed in a single day of fishing with Captain Gerardo and made the most of it with a looad of tuna and dorado to cap it off. I think I will frame this photo of Jorge Romero. A man only has two hands! Catches the fish and gaffs his own fish! A man of many talents! Check the flat waters! The fish get heavy when someone tries to take a picture! Captain Archangel and Dwight Smith grimace and laugh as their picture is being taken! 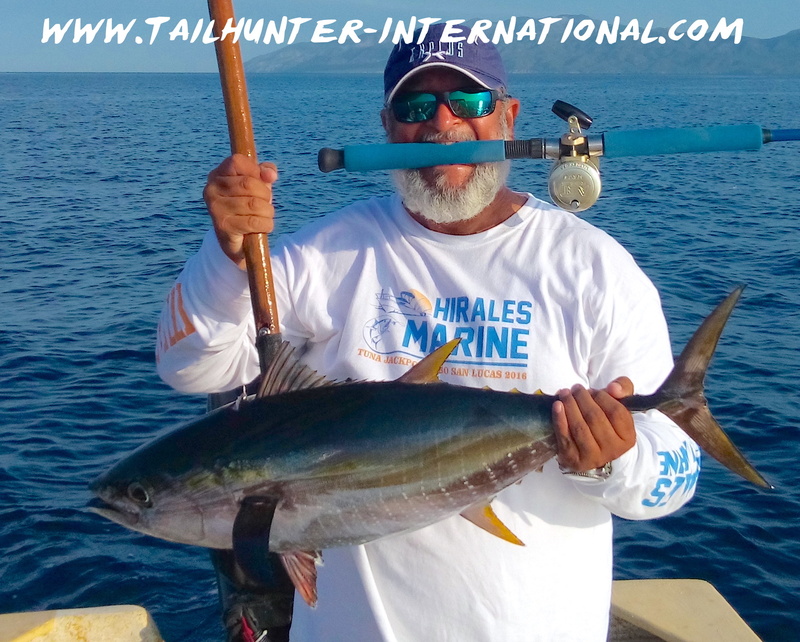 John Virgin had a prett incredible week of fishing as he shows off another healthy yellowfin tuna on the gaff. 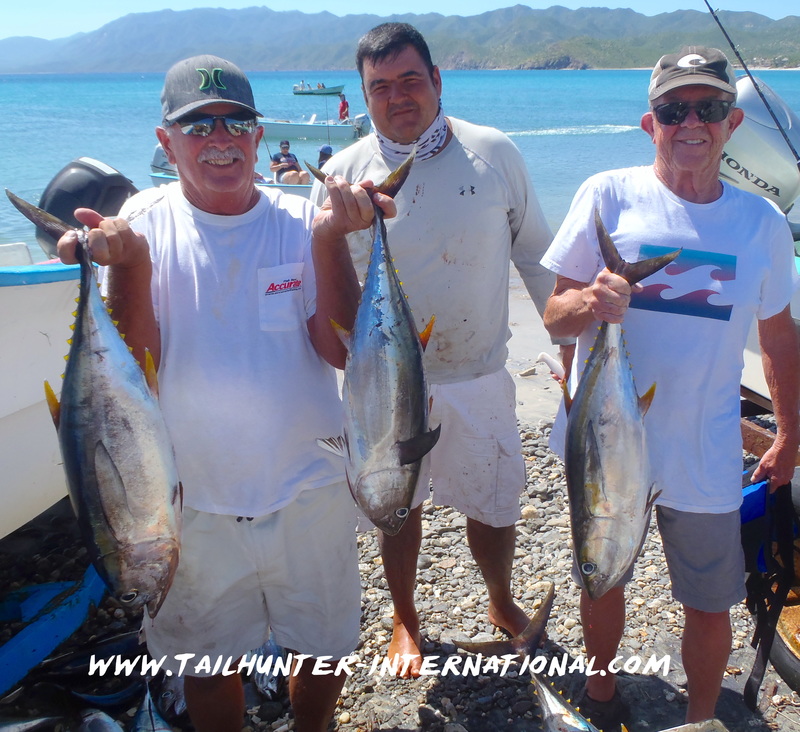 After many years, Dave Cagnacci and brother Mark, from Ventura CA finally made it down to La Paz and were fishing with Captain Jorge and filled some coolers with quite a bit of yellowfin and dorado. 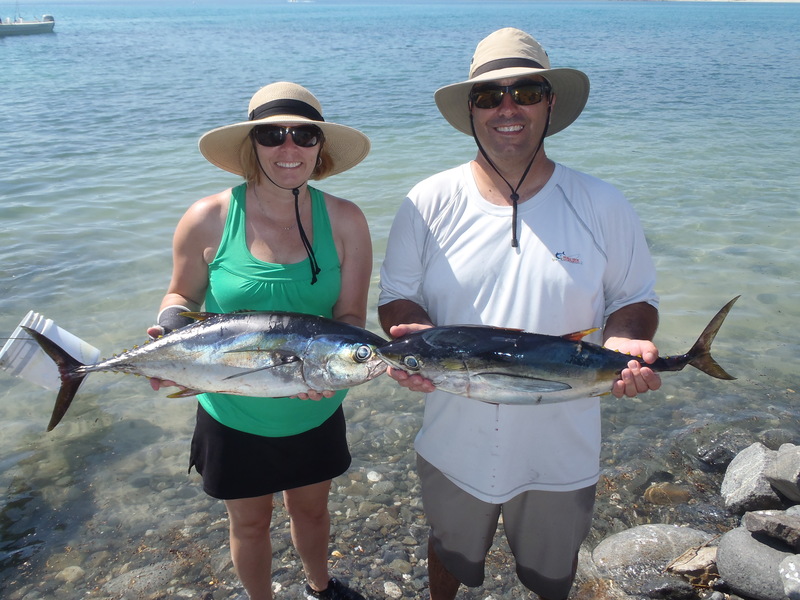 She had never caught anything bigger than a trout, but Jamie Rudloff with husband Jason, had quite a kick holding onto a bent rod attached to a yellowfin tuna! 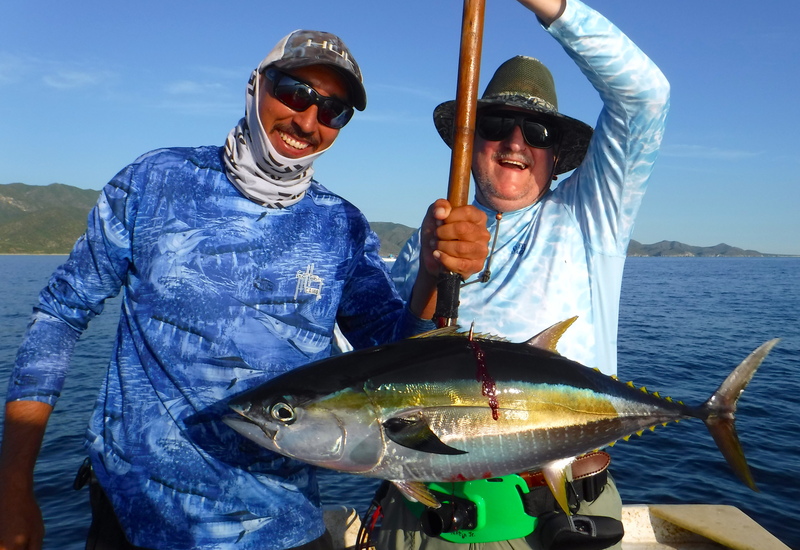 Larry Chastain and Steve Ritz fished with Captain Gerardo on their first-ever trip fishing in La Paz and jumped right into the tuna bite at Muertos. No full moon slow down on the fishing. Still full turbo although we were kinda nervous that the full moon was coming up and would affect what has been one of the best fish bites in recent years. Fortunately, not so! There appears to be a full line of tuna that came up outta the trenches about 4 weeks ago and, so far (with fingers crossed) shows now sign of abatement as tuna are biting at both the north and south end of Cerralvo Island plus close to shore from the Arenas lighthouse and south 2-3 miles to Boca de Alamo. Some of the fish are right inside of Bahia de los Muertos and many times well within a stone’s throw of the beach in shallow water! 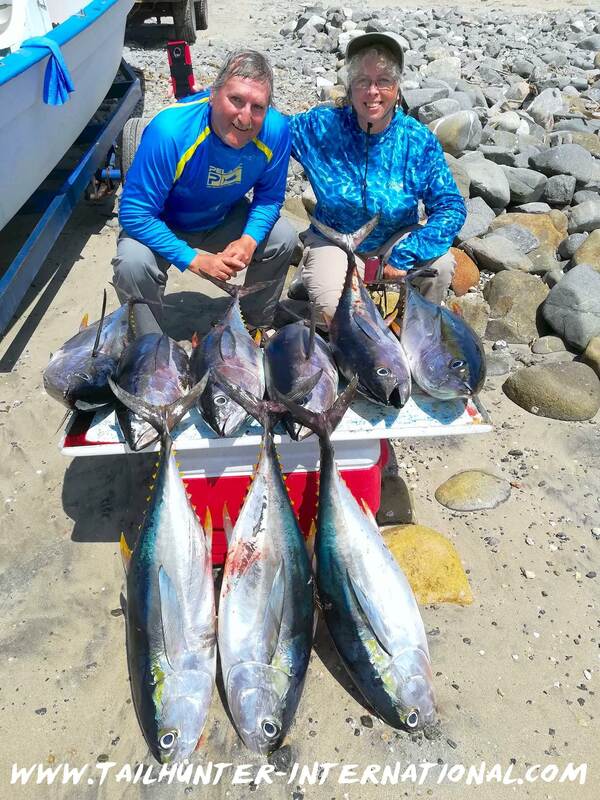 Limits of tuna between 10 and 30 pounds have been the norm rather than the exception as the fish chase the abundant sardine schools that we haven’t seen in 2-4 years. Many of our anglers are limiting by mid-morning then using the rest of the time to target dorado, cargo, cabrilla, wahoo and rooster fish. 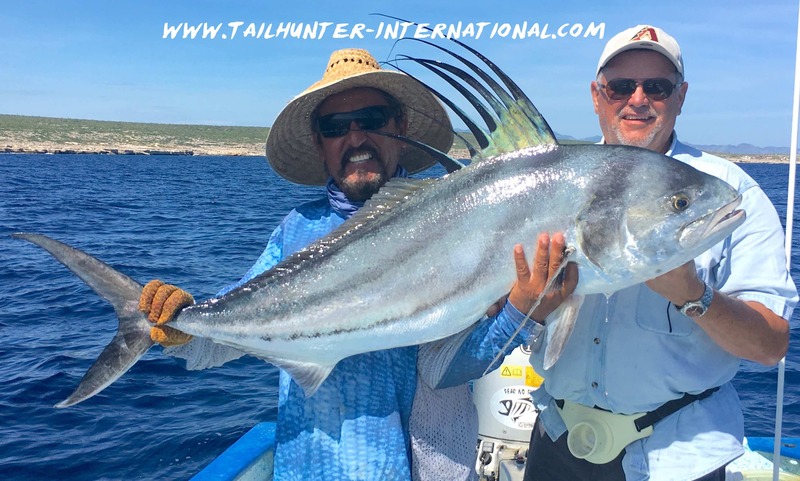 The big roosters are still around and the ones we caught and released this week were all big thick 40-80 pound fish either just off the rocks or the sandy areas near the Arenas lighthouse. 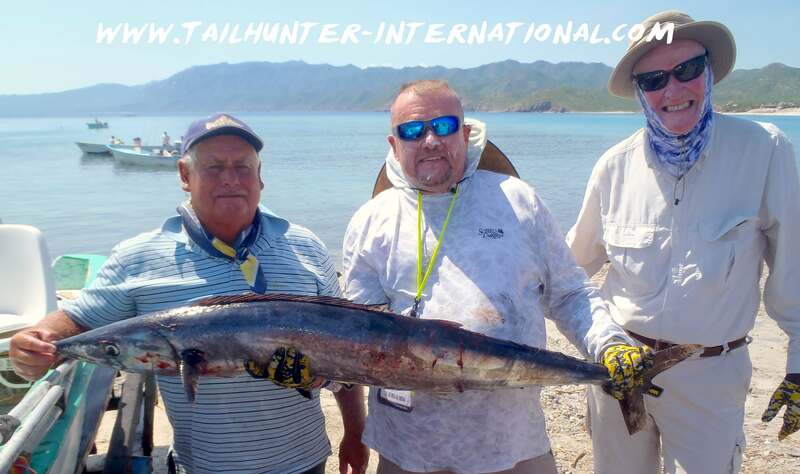 As well, for the first time in several weeks we locked into some 30-40 pound wahoo. The dorado bite that has settled into the area just kept going this past week. Not much to say except it’s often all the action you could want. Dorado aren’t big but 7-20 pound fish are most common and limits have been pretty easy the anglers telling me they’re releasing several more dozen fish after that! One day of wind late in the week made for some rough waters, and diminished the bite somewhat, but when the winds died later in the day, the fish went on the chew. As the week went on, the mornings were slow, but the afternoons provided the most action.